If No, are you exempt from purchasing a license? Thank you for your support with the Super Hunt we look forward to another successful year. We have put together some rules and regulations to make the hunt more successful and safe. Please pass on the rules to all guides and volunteers assisting with the hunt. Adhere to all MDWFP hunting rules and regulations while hunting on the Super Hunt. If you have any questions on MDWFP hunting rules and regulation please visit our website at mdwfp.com. The landowners, guides, and volunteers will not consume alcohol during the Super Hunt weekend. The landowner/guide meeting is a mandatory meeting that each club or camp should have at least one person attending. Have a minimum of 2 guides/adults in the blinds with the hunter at all times. Do not take up funds or money from the families attending the hunt to pay for any expenses. Provide a safe, clean, handicap accessible place for the youth and their families to stay while they are at your property. If you do not have these types of facilities please let us know and we will assist you finding accommodations. Be able to provide meals, snacks, and drinks for the youth and families while they are at your property. If you need assistance with this please let us know and we will assist you. Have all blinds and shooting house clean and ready to use prior to the hunt. Have extra guns and hunting clothes for the youth and families in case they do not have the appropriate equipment. Super Hunt hunters are the only hunters allowed to use firearms during the hunt. This is not an open weekend for youth hunters. Anyone else hunting on your property during this weekend must use archery equipment. The applicant and/or guardian (if participant is under 18), acknowledges this program involves some risk and he/she assumes responsibility for his/her actions and for any injury that may result from participation and also waives and releases all other participants, the host, co-sponsors, guides, landowners, volunteers, instructors, the Southern Outdoors Unlimited, MDWFP, officials, and/or other parties involved in the event from all claims and/or damage/injury incurred in connection with this event. In addition, participant grants the sponsors, co-sponsors, MDWFP, and Southern Outdoors Unlimited the unconditional right to use the name, voice, and photographic likeness of the person listed above, in regards to any of the publications and audio/video productions.  In addition, participant grants the Southern Outdoors Unlimited and MDWFP the right to send you email updates about Foundation events and promotions.